As you may have read in my recent blog posts, I have a love/hate relationship with trains. They are easily my favorite way to travel in Europe. The trains are fast and efficient, there is often free wifi, and they tend to be cheaper than flying. More modern trains have good accessible bathrooms, ample wheelchair accessible seating space, and are kept very clean. However, the nightmare comes into play when it comes time to get on and off the train. My anxiety pegs off the charts when it comes to arranging for ramps at stations and making sure I don’t get stranded on the train. 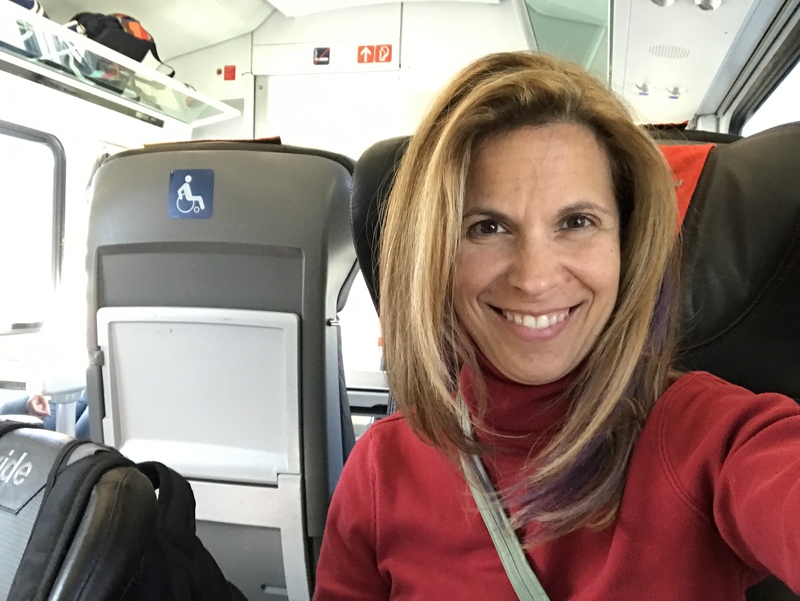 Here are some of my accessible travel tips to help prevent a bad situation if you’re planning on using a train in Europe. 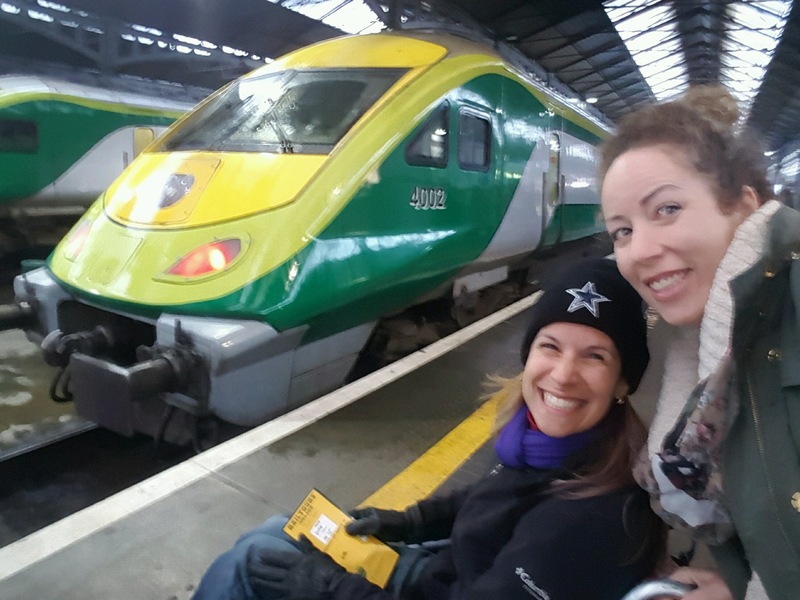 Excited to take Irish Rail from Dublin to Galway! 1. Learn about the rail systems in your country and/or city of origin and destination. Europe’s rail system is fast and efficient, but it’s also vast – and sometimes confusing. There’s a difference between Raileurope (a distributor of European rail products) and Eurail (the official distributor of Eurail passes) and Eurostar (a high-speed train system). Every country has its own train system, and sometimes several. In most European countries, you can usually find a rail company that’s faster and crosses the country and often international borders, as well as slower regional trains. Doing your research about a country’s rail service will help you determine the most efficient way to travel between locations. 2. Determine the accessibility of train stations on your route. The vast majority of European rail stations in major cities are fully accessible, and many even have metro and bus connections within the same terminal that are also wheelchair friendly. 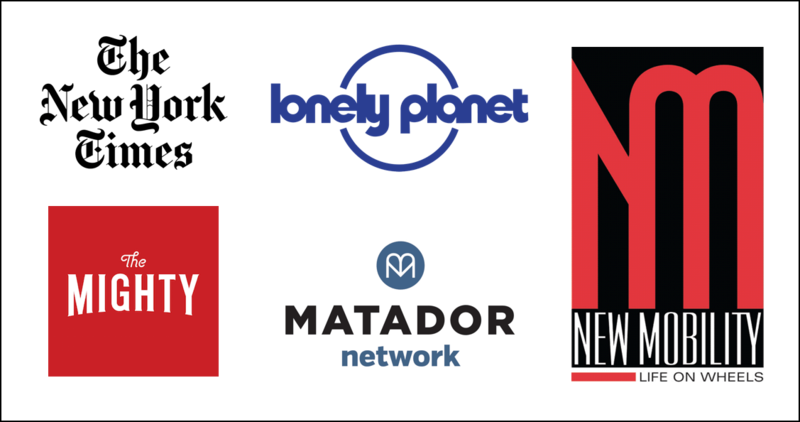 However, if you are traveling to a more suburban or especially a rural area, you need to find out if those stations are as well. Regional train stations in rural areas in particular may not even be staffed, so you may not have a way to get off the train. Many rail companies have the accessibility of their various stations on their websites, but in some cases you may have to call. 3. You will likely have to purchase your accessible tickets over the phone. Not many rail companies sell tickets for wheelchair compartments online. The good news is you will likely have to pay a lot less for your ticket, and will often also get a discount for your companion. However, you’ll have to spend the money to make an overseas call if the rail company doesn’t have an office in the US (or whatever your home country is). 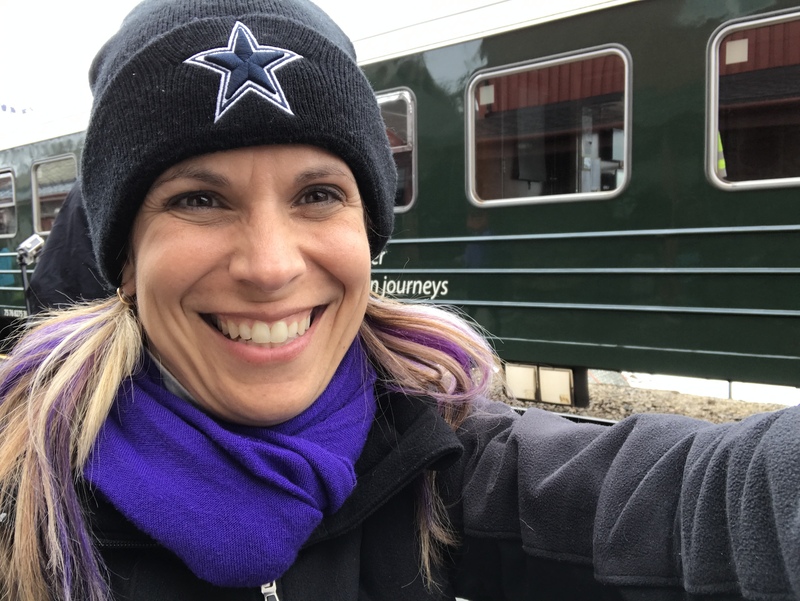 I have been able to purchase many wheelchair compartment tickets via email, which I prefer for preventing miscommunication (due to language barriers) and getting a written purchase confirmation more easily, Don’t hesitate to email the rail company and ask if you can purchase tickets this way before you try to call. 4. Find out what the exact requirements are for boarding the train with assistance. Unfortunately, this is by far the biggest hassle of train travel in Europe – and probably everywhere. Each rail line has different requirements for requesting wheelchair assistance for boarding their trains. Some only require one hour’s notice with a phone call to the train station, and others require up to 72 hours’ notice. In some cases, the local phone system for making these requests is in the local language only with no option for English (here’s looking at you, Amsterdam Centraal). You should be able to find the wheelchair assistance requirements on your rail service’s website. If not, just call or email their customer service department to inquire. 5. Show up at the train station EARLY. I can think of at least two times that showing up really early to a train station saved my hide. In one case, my scheduled train had gotten canceled and it allowed me the time to make alternate arrangements. On another occasion, my Polish-speaking guide spent an hour trying to find someone in the Warsaw main station who knew how I was supposed to board the train. It turned out each train had an electric lift built in, but I ended up missing my first train because the conductors didn’t know how to operate it. Fortunately the security officer stayed with me until the next train arrived and worked with them to board me using a manual ramp. Doing all of this would have delayed me much more had I arrived closer to my departure time. You may also need to check in at a Special Assistance office or desk to get help at certain stations. This requirement should be advised by the rail service when you purchase your ticket. 6. Take advantage of the special assistance on board. Even if you’re not seated in a first class or full-service car, frequently you can have meals or snacks brought to you. You should be able to get to an accessible toilet on board since you’ll be in a wheelchair compartment, but reaching the dining car may be impossible. The train crew know this, and will often take your order and deliver food to your seat. Every wheelchair space should have a call button with the wheelchair symbol on it for this purpose, and also to alert the conductor that you will be getting off the train at your designated stop. 7. Make a loud fuss if necessary. One thing I love about European trains is how quiet and peaceful they are. Conversation, when it does happen, is usually very quiet and respectful. If you’re an American reading this, you never want to be “that American,” but there are two occasions when you should be. First, train passengers frequently have suitcases or strollers or bicycles with them. Guess where they love to store them? Yep, in the wheelchair compartment that you paid for. Usually the conductor who helped board you will take care of moving everything, but sometimes they’re rushed. Then t’s up to you to start making a ruckus for people to move their crap stuff out of the way for you. The second occasion is when you’re pulling up to the station. Let the staff know with at least 10 minutes notice that you need help getting off the train at the next station. They should already know (with “should” being the operative word), but be prepared to make yourself heard if you feel you’re in danger of being left/forgotten on board. Train travel can really be a lot of fun! you’ll enjoy some fantastic scenery and probably meet some cool people along the way. For wheelchair users, it does pose its challenges, but hopefully this guide will help you navigate them! 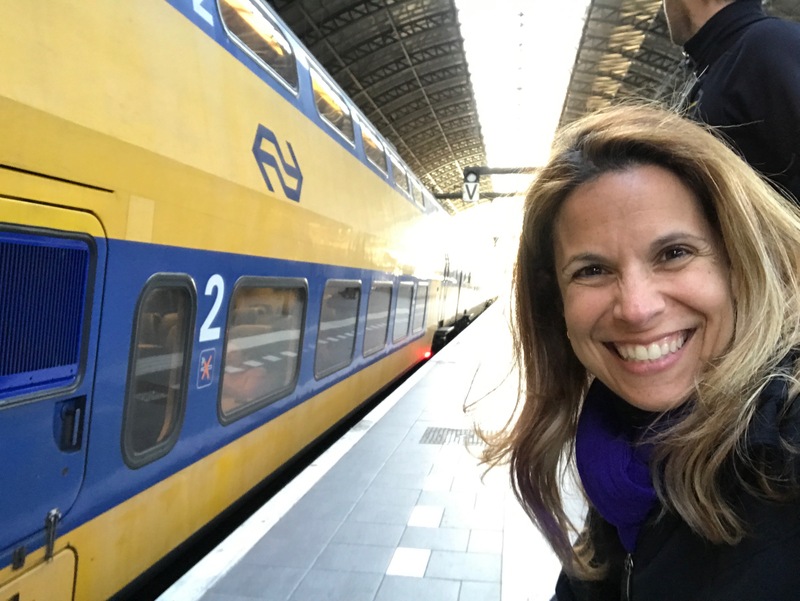 Are you ready to book a European rail adventure? 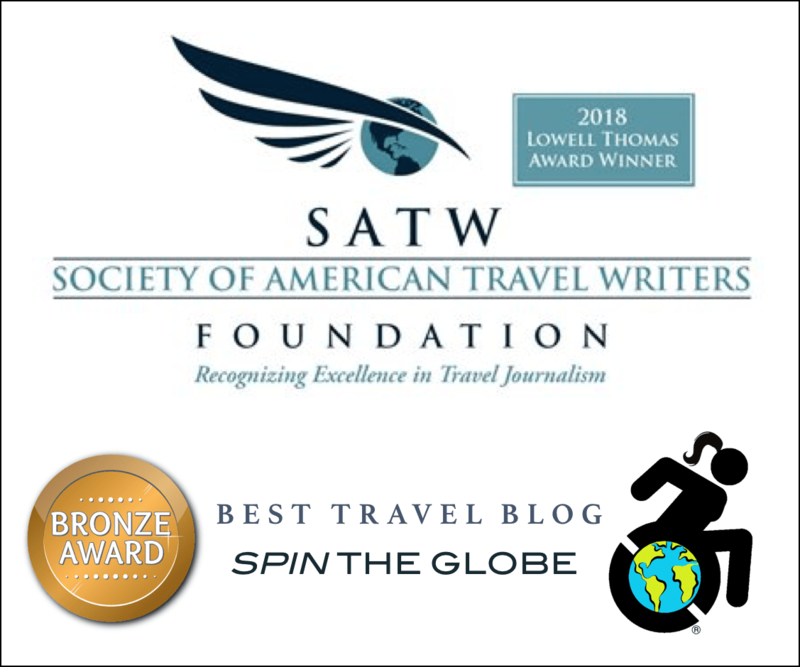 Contact me at Spin the Globe/Travel and I can help you make accessible arrangements! Good info. How did you get discounts on the trains? In Germany you absolutely don’t get any price breaks for transport unless you have the German-issued disabled ID card. Which trains or countries gave you a better price? It totally depends on the rail service and country. I believe I got a discount on Thalys going between Amsterdam and Brussels, as well as the line between Vienna and Munich. Good Email. 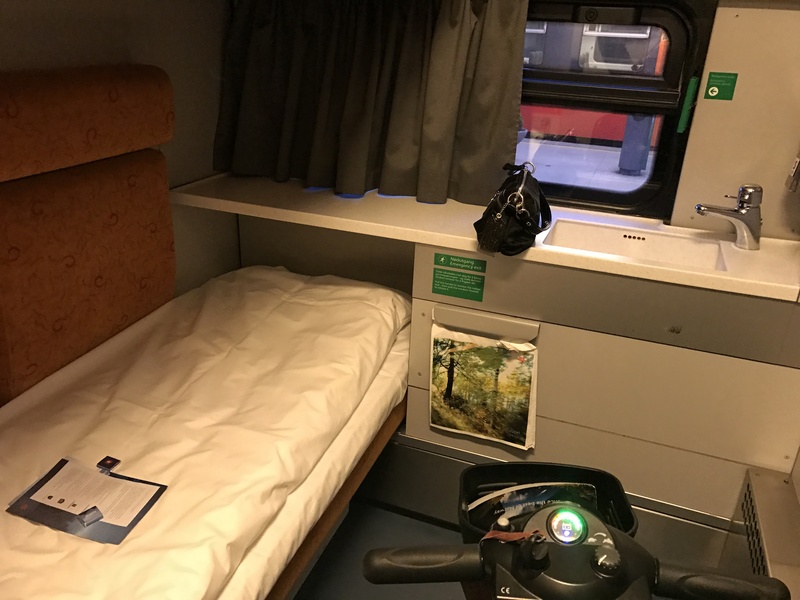 As an Australian working in NL and travelling trains all the time, though not wheelchair bound myslef (and always help someone on or off) NL BE and France are hit and miss. Almost all the time someone will help even if the conductors are busy. I would not expect a 10 min request to someone by the door to help i case would be seen as any inconvenience. That being said however, I have seen some of the most arrogant in my life on same trains but would guess that is not exclusive to here. I’m trying to buy a wheelchair ticket for the TGV from Paris to Bordeaux. The phone to SNCF is really difficult to use. SNCF can’t accept US-issued credit cards, only EU-issued credit cards. SNCF customer service told me that RailEurope is their US sales agent. Rail Europe has told me to phone SNCF. I’m writing this on the weekend. Once Monday rolls around, I’m going to try phoning a British travel agency that loco2.com recommended (Travel Bureau).